Philip was head of Chambers at Serjeants’ Inn Chambers between 1995 and 2000. He retired from his practice as a barrister in 2008. Philip acted as sole arbitrator and member of an arbitral panel in a wide spectrum of disputes concerning engineering and construction, insurance, professional negligence and intellectual property in Britain, Germany, Bangladesh, Indonesia and Australia. He was a Fellow of the Chartered Institute of Arbitrators and member of the International Bar Association and International Arbitration Club. Philip played a key role in the decision to move Chambers from Temple to Serjeants’ Inn. One of the first at the Bar to use a computer, he is remembered with great affection by members of Chambers as an outstanding Head of Chambers, a trail blazer as an internationally respected mediator and a close friend and colleague. John was called to the Bar in 1973 and took silk in 1994. 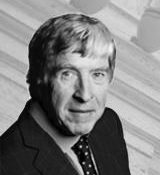 He remained a member of chambers throughout his career at the Bar until his retirement in 2008, following which he became a consultant with Leigh Day & Co.
His contribution to the success and reputation of Chambers was immense. He was Head of Chambers between 2000 and 2007, a member of the Bar Council Remuneration Committee, and Chairman of the Bar Council CFA panel. John was recognised as one of the leading clinical negligence barristers in the UK and appeared in a long list of important and high profile cases in his field. He will be missed by members of chambers as an outstanding advocate and colleague, and most of all as a friend. Adrian Whitfield was a Deputy High Court Judge, Master Treasurer of Middle Temple and a member of the Civil Justice Council Committee on Clinical Negligence and Serious Personal Injury. Adrian Whitfield QC appeared in many of the ground-breaking cases in the developing field of clinical negligence and healthcare law including: Chester v Afshar ; Re A (Children) (Conjoined Twins: Surgical Separation) ; Re F (Mental Patient Sterilisation) ; Sidaway v Bethlem Royal Hospital ; Hotson v East Berkshire Health Authority ; and Roberts v Johnstone . In 2007 Adrian was awarded the AvMA 25th Anniversary award of outstanding contribution in the fields of patient safety and justice. Since retiring from practice, Adrian has been Head of Advocacy at Middle Temple.